This comparison is for 2 of the best WordPress hosting services available today, but they are entirely different. The main difference is the control panel that you use to configure your hosting and having dedicated resources. Siteground uses cPanel where Cloudways has its own custom build control panel. So the benefit of cPanel with Siteground is that you can have email accounts on the service, a file manager, DNS management and much more. But the downside is that cPanel 100% slows your hosting down, it's just a fact. This is where Cloudways shines because you get dedicated resources with an easy to use control panel that is not cPanel. But with that, you don't get some conveniences like hosting email, a file manager, DNS manager, etc. Siteground and all other WordPress shared hosting will never be as fast as Cloudways. With regards to support, Siteground wins in that department, they have exceptional support. Cloudways support is good, but not exceptional. So it all really depends on your priorities and what matters most to you. Cloudways in a managed cloud server service that offers a tremendous value. You choose the cloud provider and Cloudways connects their platform to it which makes it incredibly easy to manage. You pay a small monthly premium vs going direct in exchange for the management platform and support when you need it. SiteGround is a highly recommended web host online because they have catered to WordPress websites and yet still have affordable pricing. They are most know for their fast performance and equally fast support. Cloudways is a new way to host your WordPress websites. Initially, there is a bit of a learning curve because it's not based on cPanel, but that is also why your websites will load dramatically faster. Now for my personal experience using Cloudways Hosting. The only real area of improvement that I would like to see is for their support process to improve. Currently, you can request support via live chat and by opening a ticket. My experience is that you will get better help when opening a ticket. Your website is going to load really fast with SiteGround. Part of the way they achieve this is by placing limitations on all of the accounts on their service. Most users will not come against these limits, but when your website does, they will be quick to notify you. Each account has a "CPU seconds per account" limitation. If you go over the CPU seconds allocated for your account you will receive an email notice and your website will be limited if you don't address the issue, which usually means upgrading your plan. These email notices are a lot more common then you would think. But its all based on the amount of traffic on your websites hosted with SiteGround. It's pretty reasonable for this limit, but its something to be aware of. There is currently is an active Cloudways Coupon or Cloudways Discounts available. When ordering your plan, enter WPCRAFTER for the promo code to receive 20% off your first invoice. 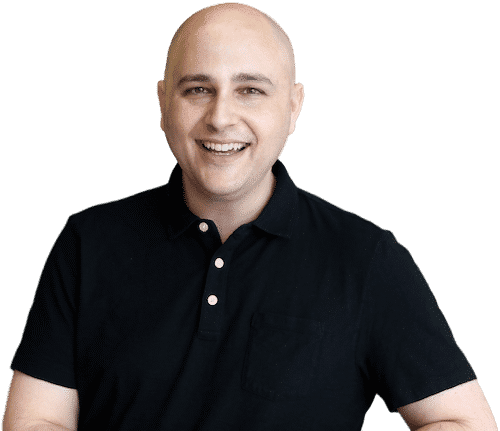 Also, if you do order Cloudways through the link on this website, I will give you access to one of my premium training course which normally sells for $99. Several times per year SiteGround has promotions. Usually, you won't need a SiteGround coupon in order to get this SiteGround discount on your hosting package. I am not sure how their promotions will work in the future because in June 2018 SiteGround increased their prices and also increased the upfront discount. I really like what Cloudways is doing. Sure you can go directly to the various cloud hosting providers, but for the modest premium you pay, you get the Cloudways control panel and more importantly, support. But in my personal experience support was not fast, or that interested in helping me. SiteGround is a solid choice for your web hosting needs. The cater to WordPress websites and offer fewer resources than their competitors, but higher reliability. Why CloudWays has an 85% reliability score? That is a great question. And a good time to revise it based on current experiences. I am wondering what plugin you use to create the review itself. I understand you are using Astra theme with Beaver Builder or Elementor, but I like your fancy review with the speedometer that tracks up. What review plugin is that? It’s done in Beaver Themer. However, I am soon going to switch it over to Elementor. Working on that right now and will have it out this week. I am starting with a new website designing business, Can you suggest something better from your experience? These two are pretty much the best for that. However Cloudways is probably a better environment because it has more tools for someone that is hosting websites for clients. I switched over some sites from siteground to cloudways. But i’m very confused on how to set-up the email account and such. I have one website with like 10 active emails, they seem to have an option to pay 1$ per email per month. But just to handle 10 e-mails that each receive maybe 5-10 emails a month seems a bit expensive. You have any advise on this? There also seem to be other services but I don’t really understand for what they are for, like sendgrid or mailgun? Yea so that is one of the negatives with Cloudways. It’s a good thing an a bad thing really. Unfortunately, email hosting will cost around that $1 per month per email. However many email hosting providers offer a catch-all feature. So you can have 1 email address, but it can receive emails sent to other email addresses on that domain. So I would ask for that. I do something like this. Hi Adam, Thanks for the information. Really great information. Firstly, would I be right in thinking that Site Ground offer better user support (especially for non techies?). Yea the SiteGround support is pretty stellar. It’s top notch in my personal experience. They now have server-side caching, which is ideal. They are more of a managed WordPress hosting service. Exactly how much faster is Cloudways versus a managed VPS? If you use an unmanaged VPS, you don’t have to use CPanel at all. Shouldn’t this then as fast as Cloudways – particularly if you use a CDN? cPanel uses a lot of resources. This is why all the managed WordPress hosts don’t use it. Also, you are limited in the exact server stack that you can have. So it’s faster, but is it faster enough that you would have a noticeable difference, I don’t know. I think you would see it most if there is a heavy load on your site. hey adam,i am the biggest fan of you.But i am going to start an ecommerce store but i confuse in between this two hosting.Which one is your reccomandation for ecommerce store. You will get better performance from Cloudways, but better support at Siteground. Both will be fine for an Ecommerce website. Siteground has a caching switch in your cpanel that you can easily turn on and off. To say they FORCE something on you when you can easily turn it off is a lie… lying to deceive your readers to get SEO or lying out of lack of knowledge is still deception. Okay back to Hosting… @Adam, I have about 15 websites I’m managing for my clients and a few personal sites. I think I’m ready to upgrade my hosting. Currently paying $101.50 per month at WPGateway… Looked at all your hosting reviews and it sounds like SiteGround is the better option for me because of support (important for us non super techie folks) and CPanel. My clients and I personally like adding emails when needed. CPanel makes that pretty easy. If you have multiple client sites you’re managing or planning to build a digital agency, what hosting would you personally use? The cost of Siteground is going to get expensive. If you’re hosting websites for clients it’s typically better to have reseller hosting so you can set up an individual cPanel account for each one of your clients. You can try to get one Siteground account and have multiple clients in their but you can’t give the client access to its because everyone else’s website will be there. So in order to have these separate cPanel accounts with Siteground it’ll get very expensive very quick. Now if you went the Cloudways route the big negative there is that you can’t host email. So it’s a tough call. Good on you Adam – – – some people??? ?